The festivals are a custom unaltered over time and help in maintaining faith and Amorgian tradition. They are based on contribution of people of Amorgos. A few days before each festival, residents of the island and the surrounding islands make offer gathering the necessary materials. 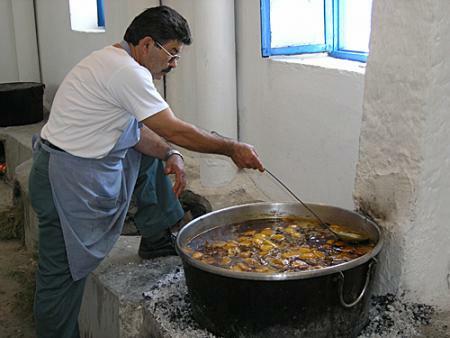 Volunteer cookers prepare traditional dishes, which are “consecrated” by the priests and then offered to visitors the day before or the day of celebration. After that, feasts are performed in the village with local songs. Feast of Agios Ioannis Theologos in Aegiali, in Krikelos. Traditional food is offered and there is local music. 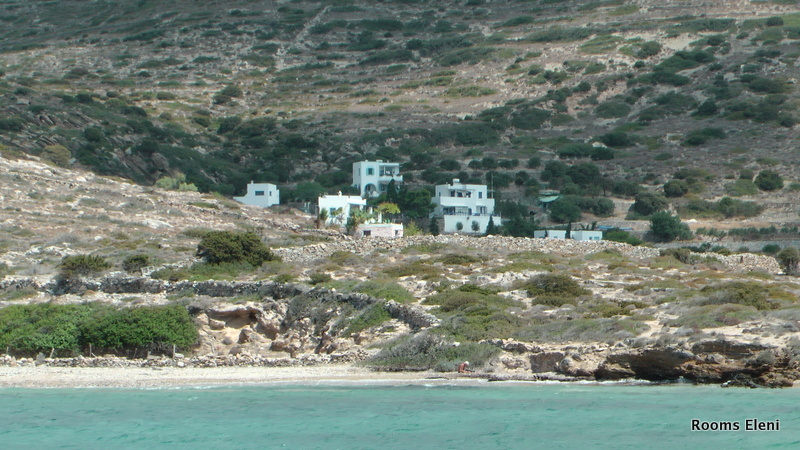 Agioi Anargiroi in Tholaria. 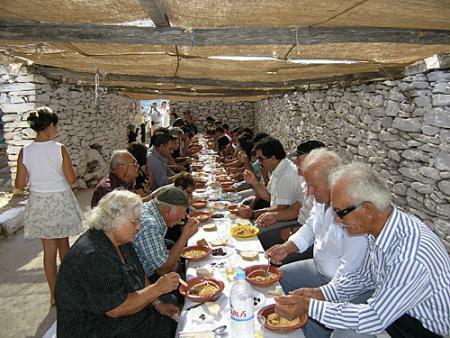 Local food (patatato) is offered, followed by feasting and dancing. 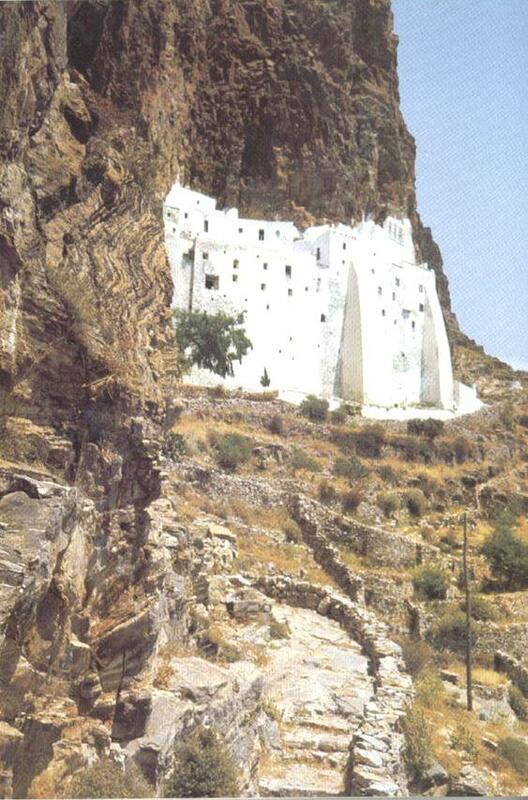 Agia Paraskevi at Kolofana. 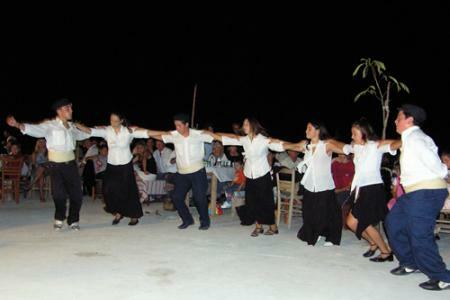 The biggest festival of Amorgos, with traditional food, local music, dancing and large attendance believers from all over Greece. Christ’s Metamorphosis. It is celebrated with wine and live performances at the Chora’s square (Loza). 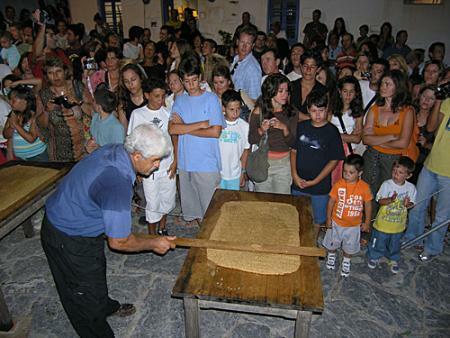 “Pasteli”, traditional favorite sweet of Amorgos, is honored once a year. - Honey at three main versions, namely reikomelo (from the rich autumnal flowering “reikiou”), “magiatiko” (from spring blooming flowers) and “thumarisio” (from summer flowering thyme). 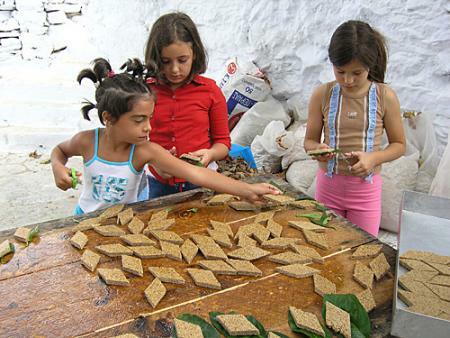 - Sesame, which is not currently produced but before the production was great in Amorgos. 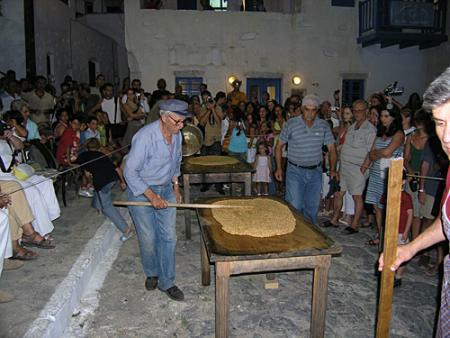 In recent years, the Cultural Association of Chora “Simonidis”, organized with great success in the first ten days of August the “Festival of pasteli” at Chora. This is a mini festival where traditional craftsmen with their assistants show the production of pastels, which are then distributed to the visitors. 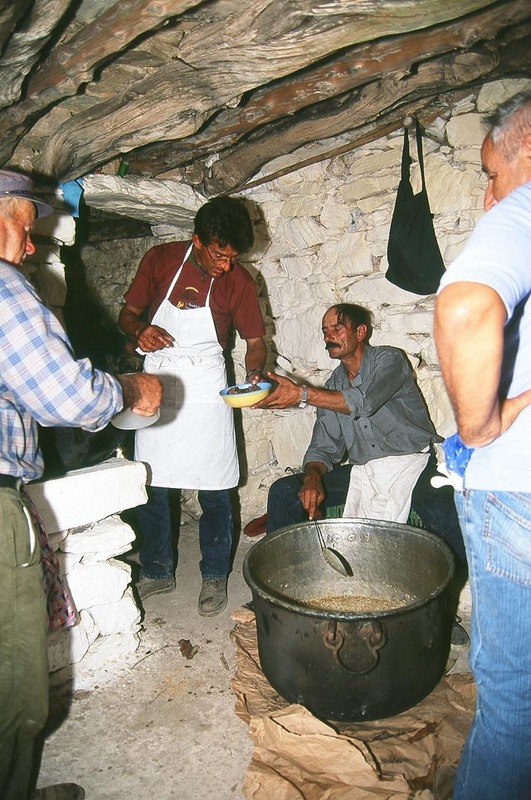 during the preparation, but also after its end, local music is played, followed by a feast with raki and dances till dawn. Festival of the Holy Cross on top of Krikelos mountain the northern tip of the island. The festival is combined with 2.5 hours walking from the village of Lagada. Local dishes like patatato are offered. Festival of Agios Ioannis Theologos at Aegiali (Krikelos). Traditional dishes are offered. The Presentation of Mary. 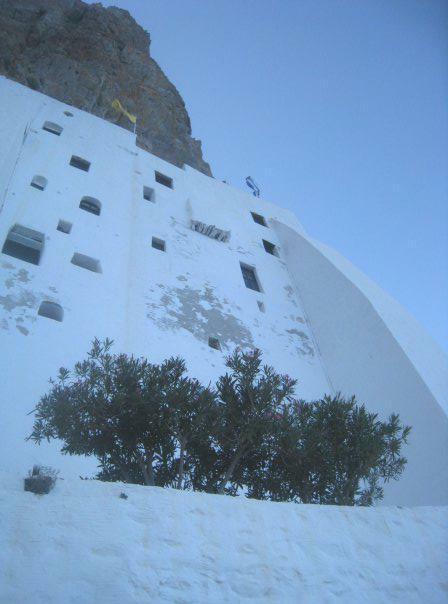 Celebration of the Virgin Chozoviotissa, protector of Amorgos. Traditional dishes are offered like fava the previous day, and fish and pasteli the day of the celabration. Blessing of the sea at Katapola and Aegiali.